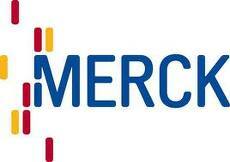 PT Merck Tbk is a leading multinational company in the pharmaceuticals and chemicals business in Indonesia. Founded in 1970, PT Merck Tbk went public in 1981. The majority of the shares are held by the Merck Group, headquartered in Germany the oldest pharmaceutical and chemical company in the world. At Least Diploma 3 or Bachelor degree in any disciplines (pharmacy preferred). Having at least 1 year working experience as Medical Representative in pharmaceutical business or FMCG. Willing to travel and willing to work in the weekend and posses driving license (SIM C). Computer literate (MS Word, Excel, and Powerpoint). Good command in English (oral and written).